These narrow woven cord lanyards look awesome and can have your message branded down the material length and we can even mix multiple thread colours together to create a unique colour blend for the cord. These lanyards can also be combined with a short release and a different material width, giving you a larger branding zone at the base of the lanyard. 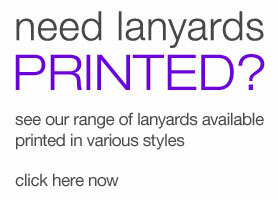 Woven cord lanyards are one of the best, low cost options for your personalised printed lanyard needs. You need space to promote your brand while catching the eye at the same time. With the space you are given on a woven cord lanyard, you can choose your promotional text and have your logo weaved into the cord. Your brand will be in the direct eyeline of anyone you meet, putting your business out there in the world with minimal effort on your part. 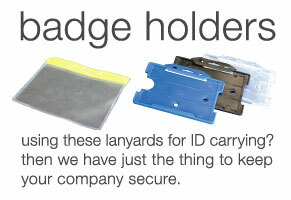 Corded lanyards are perfect for displaying ID badges and other credentials that tell the world who you are and who you’re working for. With Lanyards Factory, you can get woven cord lanyards that are made of mixed thread colours to create a colour blend that’s unique for your brand. Our lanyards have a short release and you can tailor the cord width to your needs - this can give you a much larger branding zone for your company name. The beauty with woven cord lanyards is that you can add retractable pullers, fittings and badge holders for a professional look. Go bold with hues of pink and yellow or choose to stick to your brand colours; either way, Lanyards Factory are proud to offer woven cord lanyards personalised to your brand needs. Need something unique? 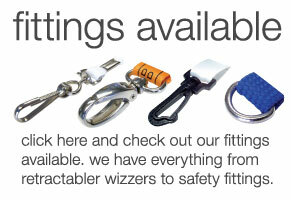 Go for different styles such as round cord instead of flat, choose preprinted, promotional and custom printed lanyards - these are some of the best sellers and so cost effective!